WEDNESDAY, March 19, 2014 (HealthDay News) -- Most women say they'd call 911 if they were experiencing a stroke, but many don't recognize the major warning signs of stroke, new research shows. The study authors surveyed more than 1,200 women in the United States to assess their understanding of stroke's warning signs. "We saw a high level of knowledge to call 911 when a stroke occurs," said study author Dr. Heidi Mochari-Greenberger, an associate research scientist of preventive cardiology at Columbia University Medical Center in New York City. Eighty-four percent of women know to dial for an ambulance if a stroke hits. But the good news stopped there, Mochari-Greenberger noted. Only 51 percent of the women knew that sudden weakness or numbness on one side of the face, arms or legs is a warning sign of a stroke. Less than half (44 percent) knew that speech difficulty is a stroke sign. Fewer than one-quarter of the women could identify the following as other top stroke signs: sudden severe headache (23 percent), unexplained dizziness (20 percent), and sudden vision loss or vision loss in one eye (18 percent). "The results suggest that efforts to improve stroke warning sign recognition among women has the potential to reduce treatment delays and improve outcomes in women," said Mochari-Greenberger. And, noted Dr. Keith Siller, medical director of the NYU Langone Stroke Treatment Center in New York City, "What really compounds the story even worse is that minority women -- black and Hispanic women who have different risk factors, including [high blood pressure and cholesterol] management issues -- are among those not recognizing classic stroke signs." Siller, who was not involved in the research, added, "This is a double whammy we have to address." Twenty-five percent of Hispanic women did not know any stroke signs, compared to 18 percent for whites and 19 percent for black women, according to the study. Are men better at spotting a stroke? "The lack of recognition of classic stroke symptoms is not just limited to women," Siller said. "It's not gender-specific. Unfortunately, it's a major concern for both." But he noted that women live longer than men do, so they are more affected by stroke. "There's no question more women have strokes. More women survive as they age, so that group is more apt to have more strokes," he said. "Women are also less likely to take care of themselves because they often tend to take care of everyone else first," Siller explained. "They are often the support beams. They take care of kids, make sure their husbands are OK and they often don't include themselves as someone who needs looking after." Stroke is the third leading cause of death among women in the United States, according to the American Heart Association. Mochari-Greenberger said younger women should learn the warning signs, too. "Stroke might be on the rise among young women. Young women have the opportunity to prevent stroke among themselves and to recognize when other people are having one and know to call 911," she said. 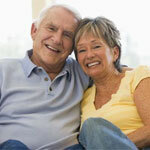 The heart association issued new guidelines for women and stroke in February. Guidelines author Dr. Ileana Pina, a professor of medicine and epidemiology & population health at Albert Einstein College of Medicine in New York City, said, "We still need a tremendous amount of research to better understand stroke in women. And the fact that the knowledge base is still lagging behind, particularly in the minority groups -- in Hispanics -- shows we need to do a better job on education." Mochari-Greenberger and her colleagues were to present their findings Wednesday at an American Heart Association scientific sessions meeting, in San Francisco. The study is also being published online March 19 in the journal Stroke. To recognize the warning signs of stroke, learn the acronym FAST.